We employ friendly people who are happy to help so you have any other questions please call us on 01707 888229. Why not make your own Online appointment open 24hrs and are useful if the phone lines are busy. How do I know that your Physiotherapist is properly qualified? Our Physiotherapists are Chartered and registered with the Health and Care Professions Council. A Chartered Physiotherapist is a member of the Chartered Society of Physiotherapy (MCSP) which is the professional regulatory body of the profession. This means that the Physiotherapist has undergone an approved course of training (usually a 3-4 year MSc (masters degree course). All chartered physiotherapists are governed by a professional code of practice. Treatment is not inherently painful. Some discomfort is likely to be experienced when an injury is inflamed and being treated. Even with gentle techniques. Your therapist will be sensitive to your symptoms and your sensitivity levels. They will discuss the best treatment options with you before you start on an agreed programme. Alternative options will always be found if you find a particular treatment too uncomfortable. Are there side effects of treatment? Side effects are generally rare but you may experience some tiredness or soreness for a few days afterwards, for example, some forms of muscle strengthening cause an ache in the muscle usually experienced a few hours after exercising and persisting for up to a day. Your practitioner will adjust the treatment programme according to how you respond to treatment. Can I phone between treatments? 100% Yes please do. If you have concerns between treatments its always better to speak to reception. Rather than be anxious or in pain. Your practitioner will always call you for support if you worried. Will I need a regular check up? Many people ask questions about checkups. Once pain has eased some people will have a monthly massage or an MOT treatment. This depends entirely upon the problem as some long-term conditions such as forms of arthritis and muscle wasting may vary from month to month. Occasional top-up treatment or tweaking of exercises may be beneficial. Physiotherapy treatment involves a number of hands-on treatment options. Preventative exercise-based approaches are combined with deep tissue massage, electrotherapy, acupuncture and manipulation. All work really well to reduce pain, relax muscles and strengthen the body. Physiotherapy involves looking at the body as a whole. Rather than focusing on individual areas they look for the primary or root causes within the body. This advanced approach can help reduce the risk of people injuring themselves all over again. Physiotherapy treatment has excellent preventative plans. You can apply them to everyday activities such as your favourite hobby, sport, work place or if you just want your body to feel better. If you have any other questions please feel free to call us and ask as many questions as you need too. What types of conditions can the Hatfield Practice help with? Common conditions treated include back pain, neck pain, sprains, strains, arthritis, bursitis, tennis elbow, workplace and sports injuries, problems with posture, and reduced mobility. Rehabilitation after surgery is also offered and very effective. Why see a physiotherapist for treatment? Physiotherapy treatment Works. It’s clinically tested, cost-effective and can make an enormous difference to peoples quality of life. Physiotherapy is perfect for treating everyday mishaps, work or sports injuries. Physical rehabilitation after road traffic accidents, surgery or illness can reduce the use of painkillers and reduce the risk of ongoing pain. Physiotherapists are regulated by the Health and Care Professions Council which maintains a high standard of ethics and professionalism. Why go to The Hatfield Practice? We provide focused, good quality, individual one to one attention through out your appointment. Our practitioners are hand picked and care about your experience. Your experience at our Practice is our number one priority. We all play a very active role in the practice and people here love what they do. Our ethos from day one has been to treat, educate and support all the way. Its never been a numbers game. We will always go the extra mile where your satisfaction is concerned. We are always happy to answer any questions you may have. Are you registered with the Health and Care Professions Council (HCPC)? All our physiotherapists are Health and Care Professions Council registered. By law in the UK, this is a minimum requirement for all physio’s. The HCPC is responsible for setting and maintaining professional standards of practice. You can check the register here using your practitioner’s surname. Our physiotherapists are members of the Chartered Society of Physiotherapists (CSP). Which means they have Chartered status. Being Chartered isn’t a requirement to work in the United Kingdom but it is a recognised mark of high quality. Find out why you should choose chartered when it comes to physiotherapy. We undertake enhanced DBS checks on all our physiotherapists. We think it’s important to give patients peace of mind. Yes, our practice has a good working relationship with local GPs. Most of our patients come to The Hatfield Practice via recommendation from their family, and friends. Some from GP’s or specialists. We aim to provide a multi-disciplinary approach where necessary. What does physiotherapy treatment involve? Physiotherapy treatment program may involve specific deep muscle massage, joint mobilisations, actively resisted muscle stretches, manipulation, posture correction etc. After treatment, you may receive further advice and a functional exercise plan. Physiotherapists use many treatment techniques for a wide range of injuries. Is treatment suitable for neck and back problems? Yes defiantly. Neck, spine and back pain are the most common types of presentation. They respond very well to physiotherapy, Osteopathy, Acupuncture treatment. Massage can help enormously when muscles are sore or stiff. How long should I wait before seeking treatment? I’m in a lot of pain? Please let us know if you are in need of an urgent appointment and we will do our utmost to see you as soon as we can. Please tell the reception staff of your situation and we will try and fit you in today! We are always happy to answer any questions you may have. Well a smile, a warm welcome and a cup if tea would be lovely. Please arrive about 20 minutes before your first appointment as the receptionist will ask you to complete a registration form. Physiotherapist will take a detailed case history asking about how the problem started, your symptoms and any relevant past medical history. They will then carry out a physical examination to discover the origin and extent of your current problem. Your Physiotherapist will give a full explanation of your problem, together with an outline of the appropriate treatment, rehabilitation and if possible an estimate of the number of treatments you may require. Treatment will begin at your first visit. Following the first assessment/treatment session, your Physiotherapist will often give you a regime of rehabilitation exercises to continue at home. Bring a friend if you need support and help. If there are any worries please just ask reception, We want your experience at the Hatfield Practice to be a pleasant one. There is no fixed amount for an appointment although they are generally in the region of 25 to 45 minutes. Conditions vary considerably in the amount of time required and we are committed in achieving the best for you. Most patients improve considerably after 3-4 visits. Remember that what is achieved inside the consulting room is only a proportion of the Physiotherapist’s work. It is necessary to write detailed notes, communicate with GPs, review hospital X-rays and scans, write reports, liase with staff and upgrade our skills. Should I bring my x-rays or scans with me? Yes please do. Its also helpful to also bring other medical details such as the medication your taking, dates of previous medical events such as surgery or accidents. You are also welcome to bring your partner if needed. We are always happy to answer any questions you may have. This depends on the problem and its severity. Your physiotherapist will discuss and agree a clear treatment plan with you. This may include information regarding the number of treatments you may need. In some cases, particularly when the pain is strong, it is more effective to see you again within a few days. Generally treatments are spaced roughly four to seven days apart. although as your symtoms begin to improve they may be spaced more widely. Your rate of recovery will also depend upon several other factors including your age, general health, sensitivity to treatment and general activity level. Everyone is individual and responds slightly differently. Please arrive wearing something comfortable. Some people bring shorts. Others if its neck pain wear a loose top or vest. Please don’t wear anything too “special” as the oils used can stain your clothes. We have towels and covers if required. You can easily choose a male or female practitioner. The most important thing is that your happy and comfortable. Reception staff are always happy to answer any questions you may have. A list of current fee for all services please click here. They can also be found on the reception desk. Fees are payable at the time of your visit unless otherwise agreed. Payment can be by cash, cheque or card. Yes we do. The majority of medical insurance companies cover Physiotherapy. Please call us on 01707 888229 to check if you are covered by your medical insurance for treatment. The Hatfield Practice enjoys specialist status with Bupa, PPP and most insurance companies. Most now refund part or all of patients of you fees. Some insurance policies have special conditions such as an excess. Some but not many these days require you to see .your GP first. If you do have complimentary health cover then you should obtain an authorisation number before your appointment. Yes. We do offer physiotherapy home visits. These are suitable for bed ridden and people that cant move. They are charged at an hourly rate. Most of our patients give us at least 24hours before cancelling their appointment. Emergencies happen and sometimes thats the way it is! There is some similarity between a manipulative Physiotherapist and an Osteopath. Physiotherapists may focus more on a broad approach to the resolution of problems that includes a substantial proportion of therapeutic muscle work in combination with different forms of manipulation. Osteopaths may focus on joint based therapy and passive muscle techniques, but there is overlap in the techniques used by both professional groups. 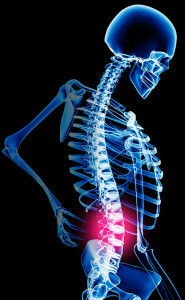 Physiotherapists tend to treat a wider range of musculo-skeletal problems. Physiotherapists seek problem solutions with a short course of treatment and educate patients emphasising the importance of self-help and self-management principles. Chiropractors tend to use more manipulative approaches and may focus on the possibility of spinal contributions to both local spinal and more remote problems. They often utilise methods that require regular appointments at intervals of a few days or weeks, managing patient symptoms this way which they feel, reinforces the benefit of treatment. All work well when applied correctly. We are always happy to answer any questions you may have.